Our Chicken Tortellini Soup makes for a delicious and comforting meal on a cool autumn day. A splash of real maple syrup turns ordinary carrots into sweet and savory culinary gold. Roasted to golden perfection, these sweet and savory carrots are a perfect complement to either a hearty beef or poultry entrée or dished up with vegetarian fare like our Grilled Portobello Mushroom Steaks with Creamy Polenta. Preheat oven to 400°F. When oven is warm, preheat a baking sheet while preparing the rest of the dish. 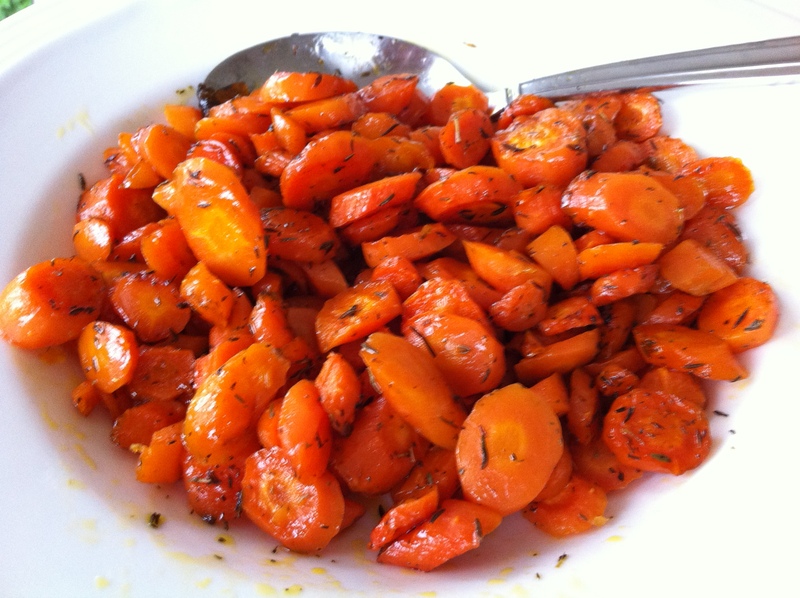 Mix olive oil, maple syrup, thyme and salt together in a small bowl, then toss the carrots in the mixture. Place carrots on baking sheet and roast in oven for 20 minutes.